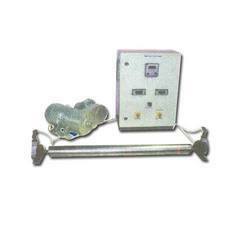 Prominent & Leading Manufacturer from Ahmedabad, we offer web guiding machine. Our wide range of Web Guiding Machine are used for textile bleaching in the industrial packaging industry. These Systems are among the preferred choice of customers for their optimum performance and international quality. Apart from having long service life, these systems are also safe to use. Looking for Web Guiding Machine ?